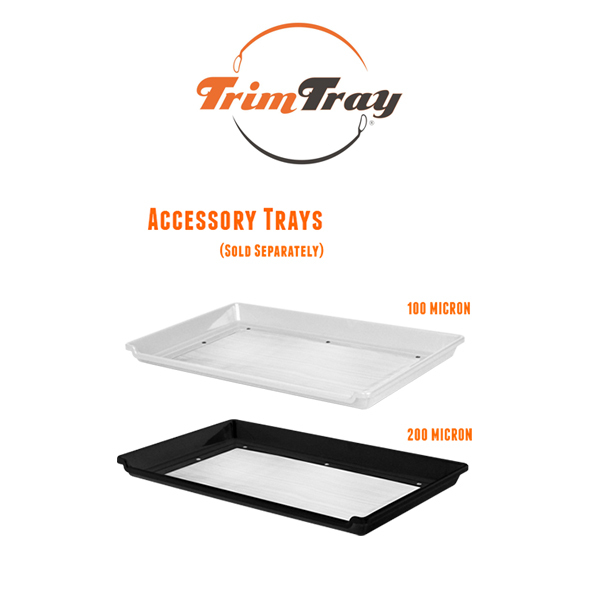 The Trim Tray is the ultimate in affordable convenience! 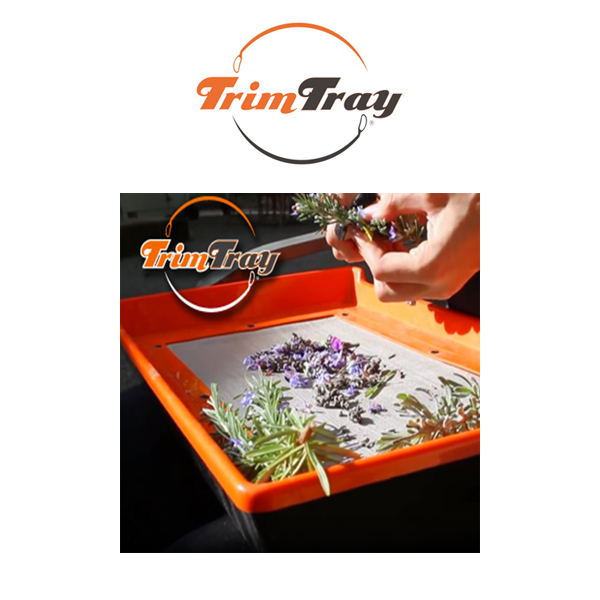 It is designed as a ‘feather-lite’ laptop trimming surface that even separates pollen from flowers! 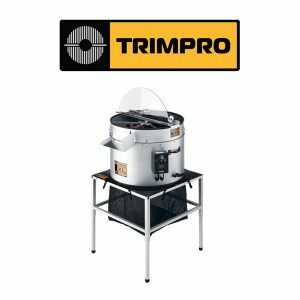 It features a comfortable non-slip base. Trim Tray kit: Includes a specialised magnifying card scoop and a pollen brush for your convenience and a 150-micron stainless steel screen. 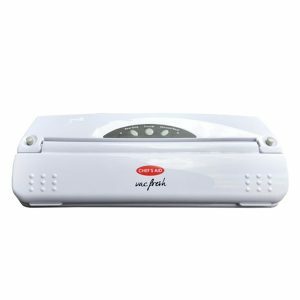 100 Micron: The White 100-micron screen features our finest screen offered with same top tray design as the standard 150-micron screen. 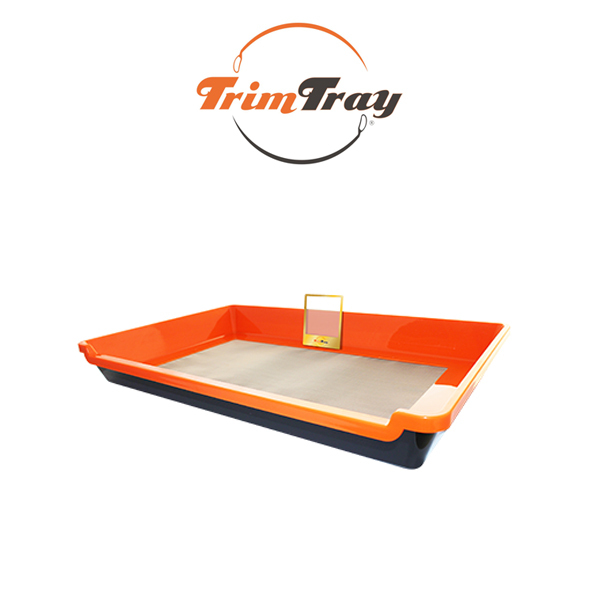 The White 100 Micron Tray will fit onto the Trim Tray, or under the orange 150 Micron Screen on the base tray. 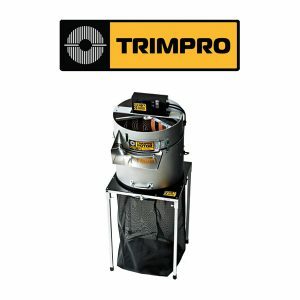 200 Micron: The Black 200-micron screen features our widest screen offered with the same top tray design as the standard 150-micron screen. 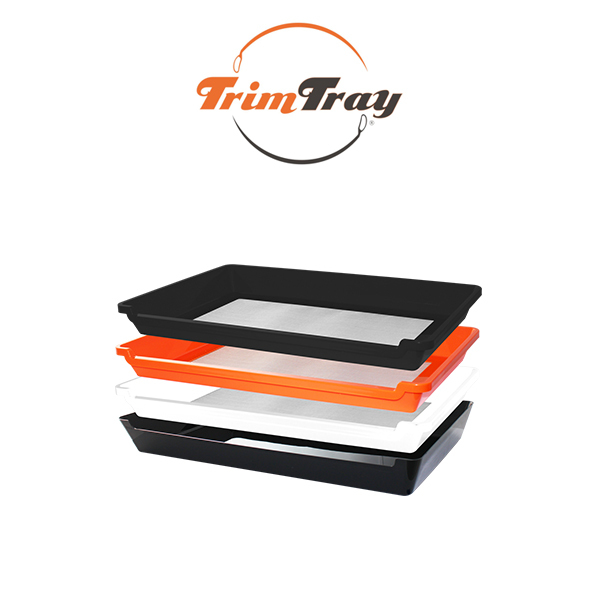 The Black 200 Micron Tray will fit onto the Trim Tray, or on top of the orange 150 Micron Screen on the base tray. 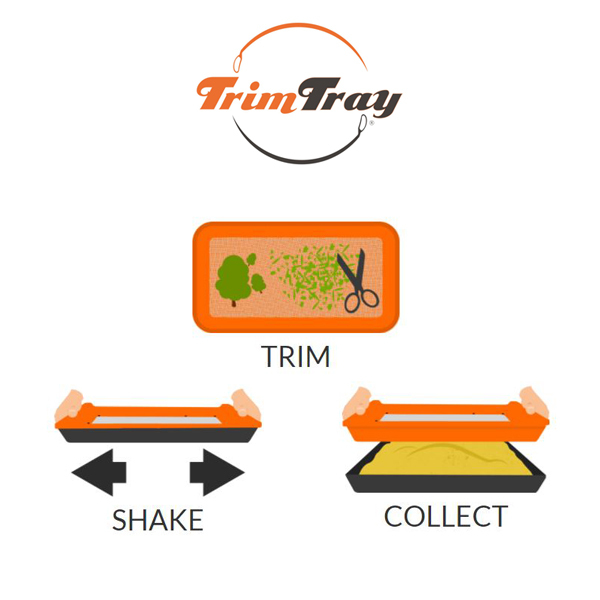 TRIM – SHAKE – COLLECT!